CLINICAL POSTER PRESENTED AT CONFERENCE ON RETROVIRUSES AND OPPORTUNISTIC INFECTIONS (CROI) - Entera Health, Inc. Oral serum-derived bovine immunoglobulin/protein isolate (SBI) increases duodenal GALT CD4 T-cell counts in HIV patients. 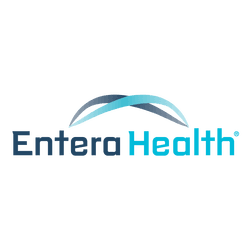 CARY, NC (Business Wire April 3, 2013) – Entera Health, Inc. announces a poster presentation at the Conference on Retroviruses and Opportunistic Infections (CROI). The presentation described the research of its oral serum-derived bovine immunoglobulin/protein isolate (SBI) product – a prescription medical food that acts within the gastrointestinal tract (not systemically). CROI was held in Atlanta, GA March 3-6. Dr. David Asmuth and his colleagues provided an update on the open-label, pilot trial to examine whether oral SBI would effect on gastrointestinal (GI) symptoms, mucosal immunity, bacterial translocation and impact imbalances in gut microbial communities in patients with HIV-associated enteropathy (>3 loose stools/day with associated with GI symptoms). Administration of SBI resulted in statistically significant decreases in median bowel movements per day (from 5.7 to 2; p = 0.013), stool consistency (from 5.3 to 3; p = 0.013 [1-constipated to 6-watery]) and GI symptom scores that assessed cramping, urgency, incontinence and nocturnal diarrhea (p=0.013) at 8 weeks and was durable through 48 weeks. Increased gastrointestinal absorption assessed by D-xylose and urinary excretion increased in 7/8 subjects from a median of 33.8 mg to 40.9 mg (p = 0.19). Immunohistochemistry enumeration of absolute lamina propria CD3+/CD4+ T-cell density revealed an increase from 213 to 322 cells/mm2 (p = 0.016) after 8 weeks of SBI. Shifts were noted in microbial populations: Pro-inflammatory gammaproteobacteria decreased from 0.70% to 0.12%. Clostridium (genus) and Ruminococcus (genus in the Clostridia family) decreased from 6.5 to 3.4 and 0.89 to 0.30, respectively. These changes in the microbiota correlated with local lymphocyte populations that increased significantly with 8 weeks of SBI. Effects on D-xylose absorption suggest that SBI improves the ability to digest and absorb nutrients, a key finding for nutritional management of enteropathy. “We look forward to bringing this important product to market and giving healthcare providers an additional means to nutritionally manage their HIV patients who experience enteropathy. Our goal is to help them positively impact patients’ lives.” commented Gerald L. Klein, MD President & CEO of Entera Health, Inc.
SBI is composed of immunoglobulins and other proteins which have been shown to manage enteropathy in several clinical studies (for more information, please email eh.medicalinfo@enterahealth.com).